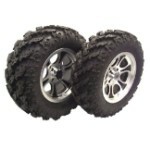 InterCo is a Louisiana based company that specializes in high performance tires for light trucks, ATV's & Side x Sides. In 1968 InterCo was the first to develop the 78 series light truck tires which began the evolution in light truck tires we have today. 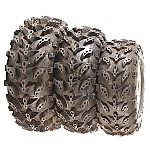 Interco has put a stamp on the ATV market with their Swamp Lite, Vampire, Black Mamba & Reptile tires. 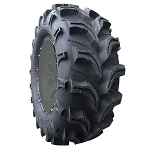 These are 4 of the most popular tires out there for all terrain vehicles, especially those riding in muddy conditions. 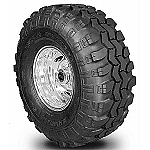 Over the years Interco has made a great name for themselves with these 4 quality tires leading the way. 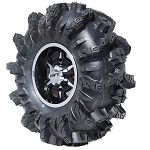 In more recent years Interco has released some new styles that are also gaining popularity in the ATV community like the Aqua Torque, Sniper and Interforce tires. 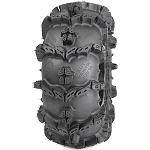 When you buy a set of Interco tires you can rest assured knowing that Interco will stand behind their product and take care of you if your tires experience any issues due to manufacturer defect or premature wear, blowout etc.. We rarely have complaints or issues from our customers that buy Interco, they are one of the most reliable tires out there that are very capable to get the job done.